We all know how popular video is. There’s something about being able to see and hear content at your own pace, whenever and wherever you like, that is so powerful. We aren’t restricted to simply being video consumers either. Creating your own videos just gets easier and easier. One area of video creation that has huge potential both in and out of the classroom is screencasting. Screencasting is where you narrate a video recording of your computer screen. Sometimes it’s just audio and sometimes you can see your face in the video as well. While there are many paid options for screencasting software, most teachers rely on free software. I’ve tried a few different free tools for screencasting. Some have limitations like watermarks on the video, length restrictions, or restrictions on how you can save or share your work. My favourite free tool for screencasting is called Loom. 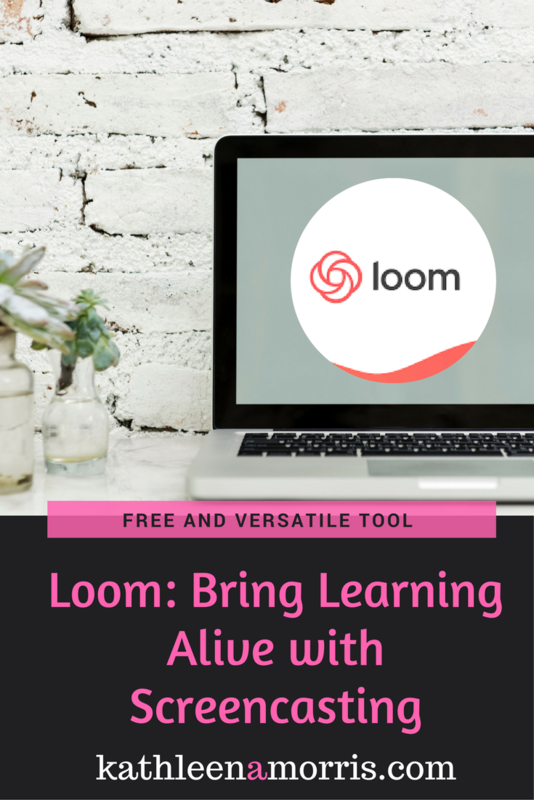 This post goes through what Loom is all about and how teachers and students can use this free screencasting software in the classroom. Disclosure: I have no connections to Loom. I just like sharing tools that are easy, free, and versatile for teachers and students. 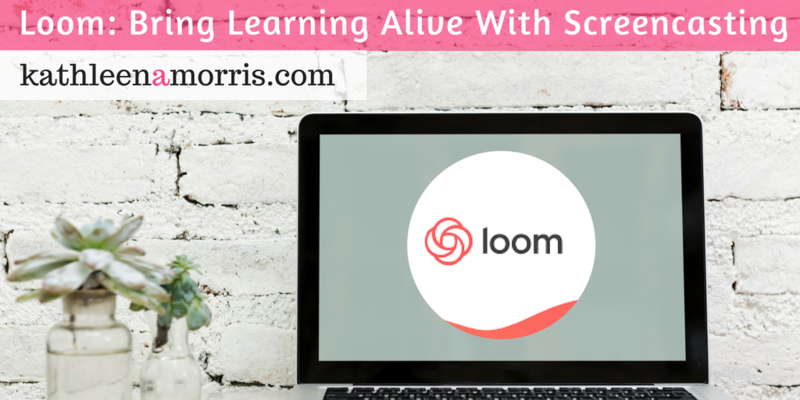 Loom is free screencasting software available via Chrome extension or a desktop app. You can use Loom on Mac, Windows, and Chromebooks. Loom allows you to record your camera and screen with audio. You can then download your video, embed it on your blog, or share it via social media or email etc. 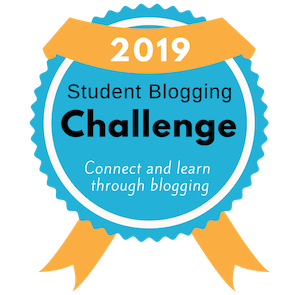 Here’s a quick example I made for the Student Blogging Challenge. I needed to show participating students and teachers how to find the URL of a post. Despite offering written instructions, some participants were still having trouble getting their URL. A quick video has helped! It’s easy to use and intuitive. Almost no learning curve! You can also record and share screencasts directly from your Gmail inbox. Handy! If you use devices like iPads, you won’t be able to use Loom. Find out how to record your screen on your iPhone, iPad, or iPod touch here. Originally, Loom could only be used via a Chrome extension. There is now a desktop app available as well. If you go to the Loom homepage, you’ll see a big button for you to install the Chrome extension. Once installed, you’ll see a small button on the top right-hand corner of your Chrome browser. From here, you simply choose whether you want to record your screen and camera, your screen only, or your camera only. When you’re done recording, your video will save to your library so you can access them at any time. Here you’ll find you can delete your videos, download them, embed them, or share in various ways. You can even organise videos into folders. The Loom desktop app is a new feature that was released in 2018. It’s free screencasting software that you download to your computer so you can record any part of your device. Like the Chrome app, you have three choices for recording: screen and cam, screen only, or cam only. To download the desktop app, simply click on this link and follow the prompts. Both teachers and students can benefit from using screencasts. 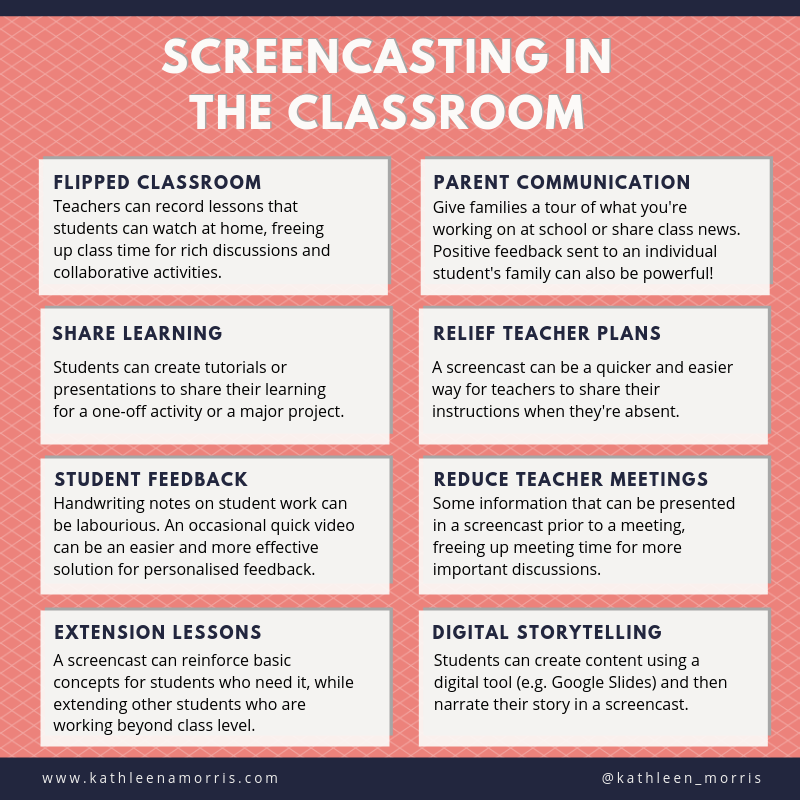 Here are 8 ideas for how teachers or students can use screencasting in the classroom with free screencasting software like Loom. If you have other ideas, please leave a comment and let me know! Netflix is like a library of videos at your fingertips. When students have created screencast videos and they look back through their work, it’s like Netflix for learning! With Loom, your video library can be like a Netflix for learning. Or, embed your catalogue of screencasts on a page of your blog. Lots of options. I also love this post by AJ Juliani where he talks about screencasts being a necessary (and ideal) alternative to maths homework in some cases. 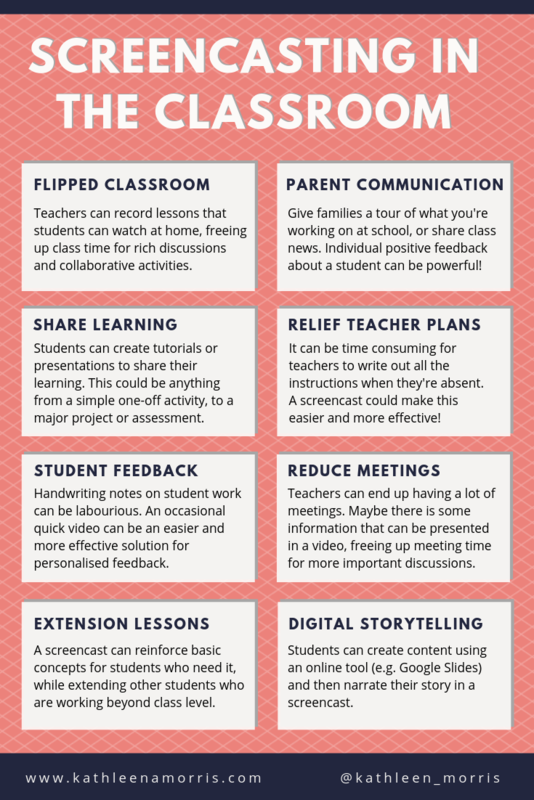 Many teachers probably see the benefits of using videos or screencasts in their classrooms, but have been put off by the learning curve or the workload involved. Both of these obstacles are not an issue with Loom. Loom is the sort of tool you can use on-the-go and once you’ve finished recording, there’s nothing more to think about! Any questions, comments, or ideas on Loom in the classroom? Please share! Do you have your own favourite tool for screencasting? Want More Recommendations Like This? Twice a month I send an email newsletter where I showcase the blog posts I’ve written and other useful links, tips, or resources I’ve come across. When you sign up you’ll also get instant access to my two free eBooks. One explains how to teach students how to research online. 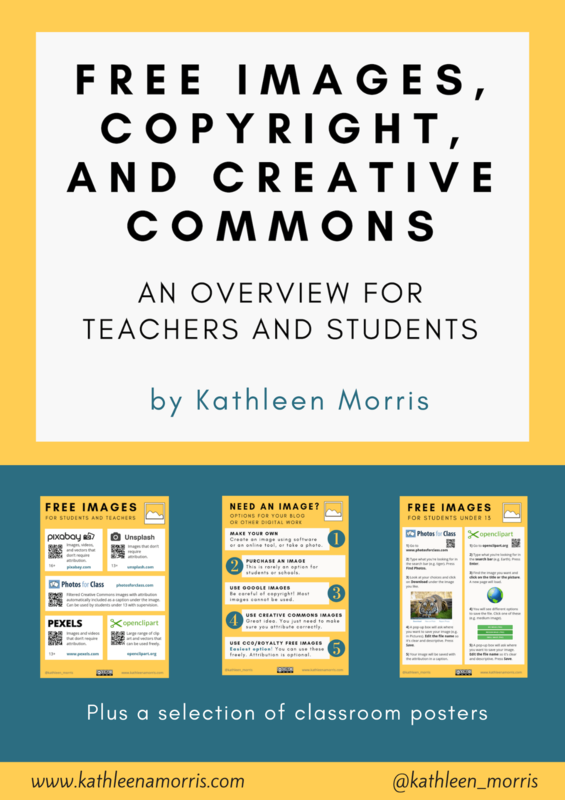 The other eBook is about finding free images that students and teachers can use for their digital work. Can you use a touchscreen at the same time while recording the screen? Like annotating a slide with an iPad? Trying to find a way to have my students create reassessment videos that shows them answering a question (drawing a flow chart maybe) while explaining their process verbally. Have my eye on Explain Everything but cha-ching! Do you have any other suggestions? Good question! I reached out to Loom for clarification. They said, at the moment you can’t use Loom on an iPad, only on a computer with Chrome installed. And, unfortunately, even on the desktop annotating a slide is not possible at the moment. They did note that both are regularly requested features so might be added in the future. Here you can participate in the discussion, leave suggestions and vote on the ones you feel passionate about.